The Boss RC-505 is one of the most intuitive and groundbreaking loop pedals that BOSS have created to date. A key feature of this loop .. The Boss RC-505 is one of the most intuitive and groundbreaking loop pedals that BOSS have created to date. A key feature of this loop station is the fact that it is a hand controlled loop pedal aimed at performing DJ's, MC's and club performers. Its new desktop design is fully back-lit for low light situations, features 5 individual loop tracks and packs more effects than BOSS have managed to fit into any looper we've seen in the past. The RC-505's individual stereo tracks all come equipped with independent record, overdub, play and stop buttons giving the user that extra state of control. This is a crucial feature to have in a live performing environment. Version 2.0 update brings even more creative power to the flagship tabletop looper. 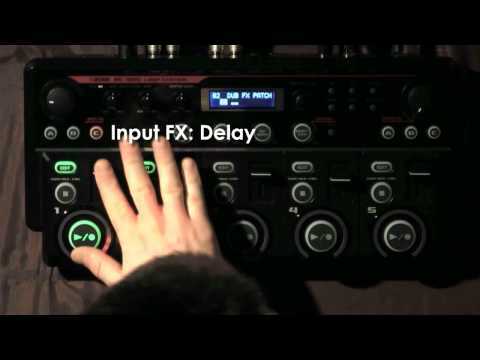 Simultaneous effects can now be used in the Input FX and Track FX sections, and a number of new effects types are included. Many refinements to the loop functionality offer a multitude of ways to enhance and improve live performances. The control target functions have been greatly expanded as well, providing a wealth of external control options for musicians who loop with guitars, keyboards, and other instruments. boss tone studio - software that offers extra audio file downloads and easy file managemment.